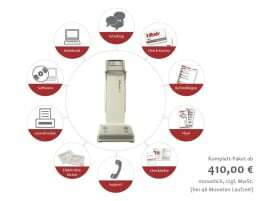 One of the leading companies of the body analysis sector is InBody. Professionals in more than 70 countries worldwide already use this brand which is a producer of high-quality analysers of body composition. The InBody gym equipment, which is often called InBody Body Fat Scale for reasons of simplification, uses bioelectric impedance analysis. Unlike many standard devices, InBody uses a special direct-segmental multi-frequency measurement so that you get very precise and detailed results of how the body composes. Trainers and physiotherapists are able to determine muscle deficits and also irregular distribution of fat tissue of their clients or patients. As a result, the training plan with new or used InBody gym equipment can be perfectly adjusted to the situation and demands of the training person. If you are interested in buying a new or used InBody fitness machine, you can get a very good overview of several offered machines on fitnessmarkt.com and pick the proper product out of many different adverts for new and used InBody gym equipment. Of course you can also find offerings that come directly from the producer. For this purpose use the contact information you can find in the adverts for the used InBody fitness equipment. You have some used InBody gym equipment you want to sell? 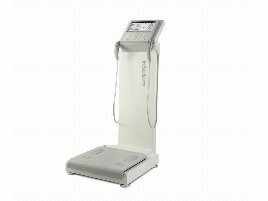 If you changed to the newest model of InBody Body Fat Scales in your company and now want to sell used InBody fitness equipment online, our online marketplace fitnessmarkt.com is the right place for you. On this platform a lot of professional providers like owners of gyms, physiotherapists and other professionals of the healthcare industry search for new or used InBody gym equipment. If you have any questions about the online marketplace or creating adverts of your used InBody fitness equipment, the team of fitnessmarkt.com is pleased to help you!